Minnesotans who file for chapter 7 bankruptcy need to take care that their health care savings accounts are not lost to the bankruptcy trustee, due to a recent decision of the federal Bankruptcy Appellate Panel. In this case, Leitch v. Christians, No. 13-6009 (8th Cir. BAP July 16, 2013), the appeals court upheld a ruling by Minnesota Bankruptcy Judge Kathleen Sandberg that HSA’s are indeed property of the chapter 7 bankruptcy estaste. 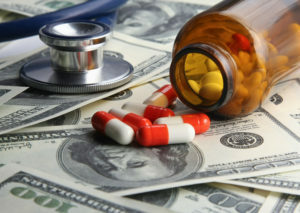 The debtor had argued that HSA’s were excluded from the bankruptcy estate by 11 U.S.C. section 541(b)(7)(A)(ii), but the courts disagreed. These exemptions did not apply to HSA’s, according to the courts, because under Minnesota law, HSA funds could be withdrawn for any purpose, even non-medical purposes. Despite this ruling, chapter 7 debtors can still protect HSA funds under the federal “wildcard” exemption provided by section 522(d)(5), which currently allows each debtor to exempt $12,725 worth of liquid cash type assets, such as an HSA. Additionally, the ability to keep HSA funds in a chapter 13 case remains unaffected by this ruling for all but the highest earning debtors. Image copyright: Fotolia, used by permission.